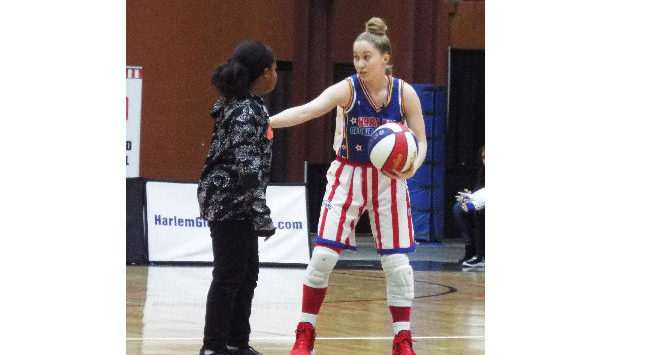 The world famous Harlem Globetrotters rolled into Salina on Monday, and in what was a homecoming game for Hannah “Mighty” Mortimer the “clown princes of basketball” did not disappoint. 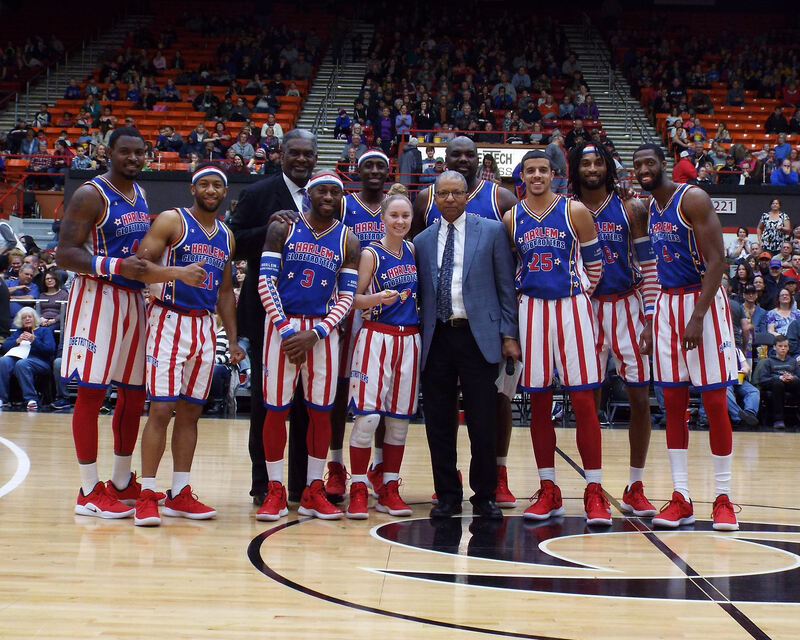 The Globetrotters brought their family show of dunks, dance, and fun to the Tony’s Pizza Events Center. 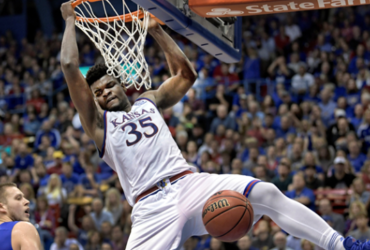 The evening featured incredible ball handling wizardry, rim-rattling dunks, trick shots, hilarious comedy, and lots of interaction with fans young and old. With a little help from the Globetrotters, especially “Mighty”, fans spun balls on their fingers, danced, and participated in gags and skits, many at the expense of the visiting Washington Generals. Front and center was a beaming Hannah “Mighty” Mortimer. The 17th female player in the team’s 92-year history was born and raised in Salina. She played basketball at Southeast of Saline High School, Brown Mackie Junior College, and Wichita State University. At halftime Salina Mayor Dr. Trent Davis presented “Mighty” the key to the city. After the game, Globetrotter stars signed autographs and took photos with fans. Salina Mr. Dr. Trent Davis presents Hannah “Mighty” Mortimer with the key to the city. Hannah “Mighty” Mortimer warming up with her Harlem Globetrotters teammates.